Recent release “The Road to the Ox Carts” from Page Publishing author Joseph J. Launie PhD, CPCU, FACFE, is both informative and entertaining; this work adds humor to complex and interesting topics. The work acts like a guidebook to help the reader better understand national problems facing the Presidential candidates. Joseph J. Launie, PhD, CPCU, FACFE, a husband, professor, expert witness in state and federal courts, a Fellow of The American College of Forensic Examiners, published writer and author, has completed his newest work “The Road to the Ox Carts”: a gripping and potent book of essays that range from topics in economics, finance, and public safety to future planning and family. Published by New York City-based Page Publishing, Joseph J. Launie’s enlightening work will leave the reader a better informed voter and better prepared for some of life’s obstacles and lessons. This book contains a collection of hard hitting, short essays on topics of national interest. Joe Launie combines the knowledge and understanding of a university research scholar with the investigative skills of a forensic examiner in these unique essays. The essays are easy to read. Joe Launie's writing style crackles with humor, even when discussing pensions, college tuition financing and forest fire safety. A Professor Emeritus at California State University, Northridge in business, Joe Launie was in the classroom from 1965 to 2000 explaining complex topics to university undergraduates and graduate students. The essays in this book examine political issues in a fashion that everyone can understand. While some commentators struggle to define the middle class, these essays display a fundamental understanding of the economic structure of American Society. The factors that led to a series of boom years for the middle class after World War II are discussed together with the shifts in the American business world that have led us to where we are. Joe Launie identifies pressures threatening the very fabric of society that are created when the ladders with which bright, hardworking individuals can climb from the lowest socio-economic circumstances to the highest are greatly reduced in number. Virtually free college education with no student loans and high paying manufacturing jobs provided means of escaping poverty, and reducing socio-economic tensions. Recent shifts in the American business community have drastically reduced these safety valves. Similar situations in other societies have produced violent revolutions. The Ox Carts of the French Revolution were used to parade chained members of the nobility through the streets to the guillotine. Joe Launie suggests changes such as subsidized student loans and the return to real pensions as a way that can lead the middle class back to where we were. A contentious area of local politics is reviewed in another essay that looks at the linkage between local zoning decisions and fire safety in the urban/forest interface. An essay on flood insurance contains a proposal that would shift hundreds of millions of insurance dollars from the federal government to the private sector. This proposal would result in a clash between different political philosophies. 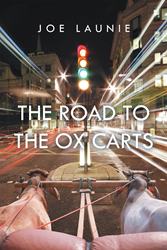 Readers who wish to experience this profound work can purchase “The Road to the Ox Carts” at bookstores everywhere or online at the Apple iTunes store, Amazon, Google Play or Barnes and Noble.